Pastor Mark North took a last bite of his omelet and washed it quickly down with a gulp of black coffee. Wiping his mouth with the napkin, he reached for the check. Elder Vernon Baker nodded. “I understand. I have several hospital visits to make myself. So how’s that new bus working out for you? Mark nodded for Elder Baker to continue. “Like any church our size, we have several hundred church members that drive their car to church each Sunday. They bring themselves, their spouses and their children. A few bring friends and extended family members. But most of these cars arrive with several empty seats – seats that could be carrying souls in need of salvation. Car ministry attempts to utilize these empty car seats for evangelism. If I’m driving to church anyway, why not take a few minutes to pick up someone that would like to attend church and who is also needs God? Elder Baker continued. 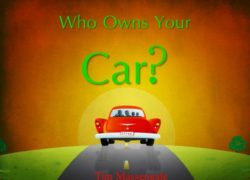 “Several years ago during a sermon on soul winning I pointed to various members within our congregation and asked them this simple question: ‘Who owns your car?’ I got a variety of answers. 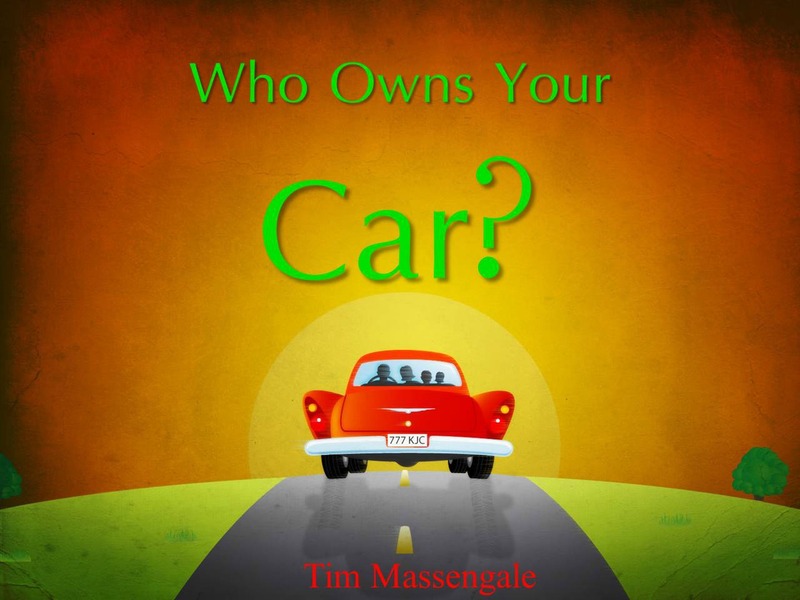 One replied, ‘I do.’ Another said, ‘the bank does,’ or ‘my father’ or ‘the lease company.’ But with a little persuasion I got them all to admit that, ultimately, GOD owns their car. It truly is HIS car. He owns all we have, for we belong to Him. God owns our families, our bank account, our houses, and yes, even the car we drive. We have surrendered everything to HIM. “Well, that’s how we launched it. Car ministry starts by asking who would be willing to pick someone up on Sunday morning. We stress that we will find these people for them if they will just bring them. All we need are willing car owners. Once we have this list of willing individuals, we then ask who would volunteer to meet at the church once a month on a Saturday morning (we provide plenty of free coffee and donuts) and go out door knocking for a few hours. We quickly train our door knockers and then hit the streets to find the hungry souls. The elder pastor quickly responded. “After having successfully done this for several years, we have found that the majority fit into six different categories: The majority are elderly – those that can no longer drive for a variety of reasons. Health or poor eyesight is the most common reason. But they would love to attend church once again. “Next are single car owners. Usually their spouse has the car on Sunday morning for work. Since they only have one car, they need a ride for the rest of the family to attend church. “After that we find teens that are sometimes interested. I’m serious! It’s more common than you think. Often they are the shy, lonely kind and just want fellowship. So they hope to meet other young people at church. They want friends. They want to belong to a youth group. So when our door knockers see a teenager, we stress the youth fellowship aspect. “We also find children. These are usually kids whose parents want them to attend Sunday school, but don’t wish to take them themselves. While a bus ministry works best, a car ministry can also provide transportation. “Occasionally we find those that can’t afford to drive to church. With rising gas prices, some have limited funds and therefore must restrict their driving to only essential locations like work and shopping. The only way they can come is if they can find a ride. Elder Keller grinned. “Exactly. All you need to do is match up those needing a ride with those who are willing to give a ride. Son, with a little effort, most of the cars pulling into your parking lot on Sunday morning can have an extra rider to two. Individuals that, before long, will be responding to your altar call and stirring the waters of baptism. Brother Keller nodded. “The first place to look is the immediate neighborhood around the homes of those willing to pick up a rider. In many neighborhoods, a team of five to seven individuals, knocking on doors on Saturday morning between 10:00 AM and 1:00 PM, will find at least one or more people needing a ride. “We have also found that results are greatly influenced by the economic status of the area. Poorer neighborhoods often have more people who lack transportation. Apartment complexes also are prime locations. Retirement villages and low income housing projects are especially fruitful. You will find that the poorer the neighborhood, the more people needing a ride. Elder Keller grinned – he knew he had a car ministry convert. “You are so right, my friend. Scoffers will say, ‘these are just old people and kids.’ True, the majority tend to be. But remember each has a soul. And each has others within those homes that are in need of salvation. Once saved, you now have an ambassador to that home that can lead the whole family to Christ. He waved goodbye and drove toward the church to get the bus. But as he pulled off the highway into the residential area that surrounded his church, he could not help but wonder how many people there were in this neighborhood that wanted to attend church if they only had a ride. With God’s help, he was determined to find out. If you would like more details on any of these steps, feel free to email me. Make this coming year your best year ever! But for this to happen, you must start now!